This is what I cooked for lunch the last weekend. I used the basic seasoning from Kimmy, Cooking Pleasure. The noodle is so flavourful and delicious. As I only have baby spinach available in the fridge so I decided to add an egg for everyone. (1)Blanched noodles in boiling water till al dente. Drain dry and mix in some oil to prevent noodles from sticking. Set aside. (2)Heat oil in wok. Add in vegetables and beansprouts (For me, I added in baby spinach) to fry for a second then add in blanched noodles. Use a wok ladle and a pair of chopsticks to combine ingredients well. Add in seasoning, stir fry to mix well. Then add in water. Stir and cover to cook noodles for a minute or until the water has almost dried up. Simple and delicious! And with the egg over the top, makes it extra yummy! Simple comfort food! My favourite! You just made something that was originally supposed to be an instant and "can't-be-bothered-with" type of meal into something that is so enticing and flavorful! I am no cook myself (*shy*), but I have to say you're making this sounds so easy to perfect and make it into such an awesome plate of noodles! Wish that I can have your saucy noodle for my lunch... slurp slurp! Mmmmmm I love this kind of simple noodles.... so good! 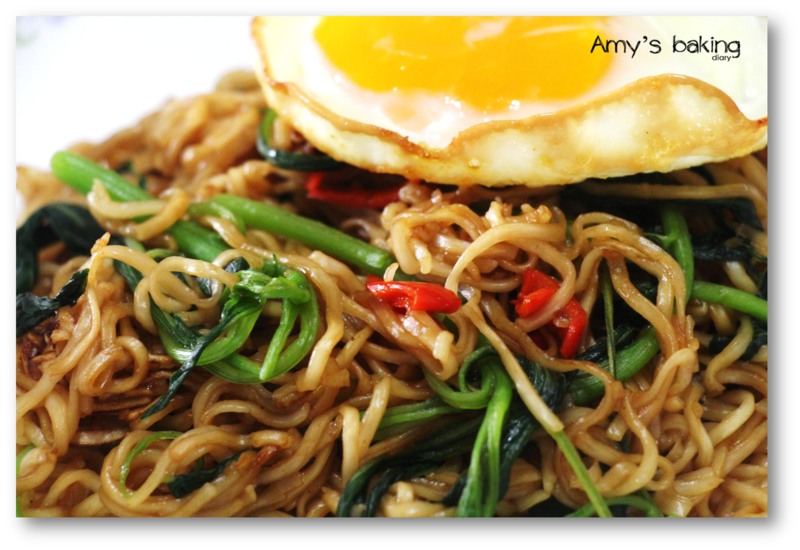 Amy , your stir fried noodles looks delish ! Simple yet very satisfying . 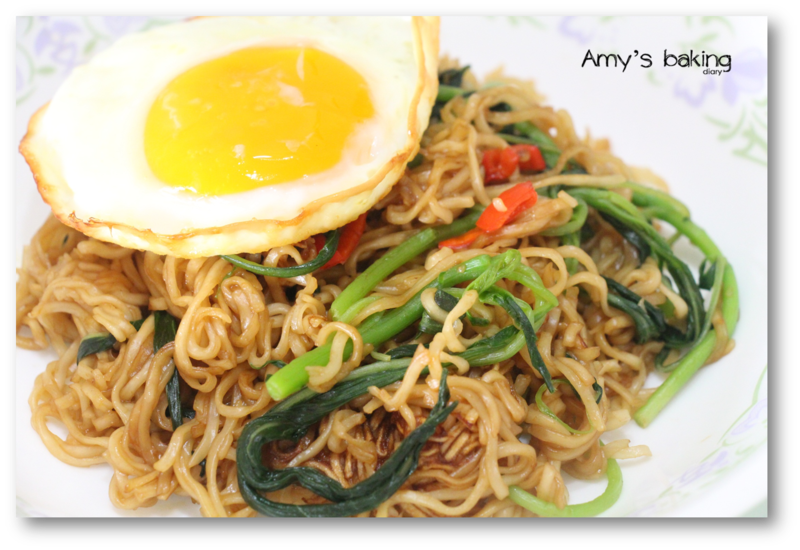 I haven't tried using instant egg noodles before :P Will bookmark your recipe , okay ? Thanks ! 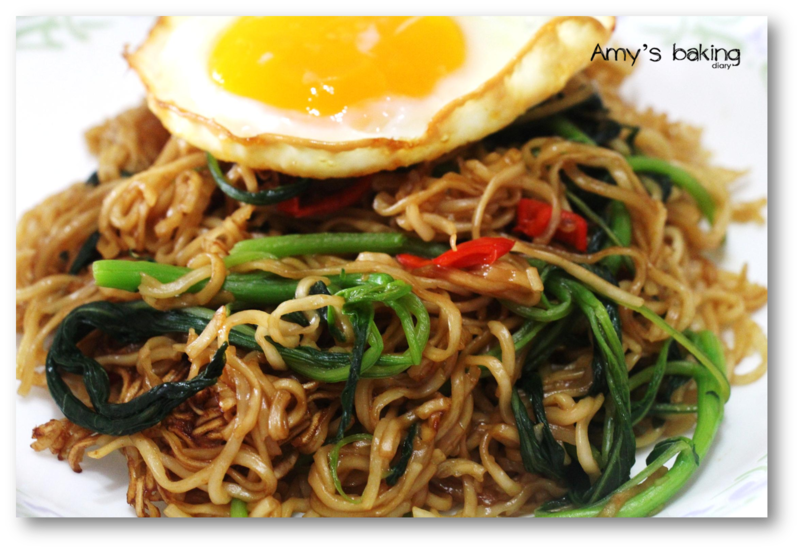 You can make a simple stir fried noodles looks so appetising! I am sure my son will not mind having this for his meal, he loves noodles!